For every parent trying to enhance your child’s development by finding toys that can be beneficial and educational to them can be incredibly challenging. Getting your toddler a new workbench is extremely educational for them because your toddler will learn all the tools that they will need to fix things in the future. We came up with a list of the top ten best highest rated workbenches that we found for 2019. Workbenches are a great way to get your child excited about building and enhancing their problem solving skills. They'll want to help fix things around the house just like Mom and Dad. We have the highest rated toddler work benches on our top ten list that the market has to offer today. We also converted this guide to our new layout. When it comes to projects, the Junior power Workbench by Black and Decker makes any pretend project feel like the real deal. With over 75 pieces of pretend tools, hardware, and wood and a flexible work light, your little carpenter will be busy for hours upon hours. This is quite the gift for any child with a passion for building and creating. Inspiring a child with a passion to create early on in life can have massive benefits in the future with schooling and potential career paths. Your child could be the next big architect or community loved carpenter, it all starts from an initial spark of curiosity and enjoyment in a subject to get hooked on a hobby. We love the flexible work light and the sound action capability making a late night project a doable thing. We also like the large quantity of accessories and hardware, totaling out to more than 75 pieces. What a deal! This nifty looking, fun-sized Tough workshop by little tikes is definitely a winning toy in our book. Including a cutting saw that cuts pretend wood in half and a stationary heavy duty vice clamp, this workbench isn’t shy of its tools. Having a total of 11 accessories, the tough workshop is easy to set up and play with, and the sliding storage doors make cleanup a breeze. Working in the shop just like daddy has never been easier, nor as beneficial with this workbench. Beginning to identify different tools and what jobs they are used for is important knowledge, especially if your child has a future in carpentry or mechanics. Introducing problem solving and creativity are just a few benefits this workbench has for you and your child. We like the design of the knifty looking workbench, along with the sliding doors for maximum storage. We also really liked the cuttable wood and 11 different accessories that will fit inside the storage area. The project workbench by Melissa & Doug is a completely solid wood building set with solid wood tools and hardware, the perfect looking wooden toy for you and your child. The sturdy design and solid wood beams make this a long lasting durable toy that can be passed down to little brother or sisters to continue the fun and creativity. Equipped with a neat storage shelf and multiple functioning tools such as a vise, saw hammer, wrench and other cool pre-sanded tools for your little one to build with. Overall this is a great long lasting workbench for any young inspiring carpenter to practice their skills before they are old enough to use the real thing. The sturdiness and long lasting pine wood beams of the overall product construction ensure that this workbench by Melissa & Doug will last many, many years, doubling as a later hand-me-down toy for the younger siblings in the future. This way every child in the house can experience the benefits of using their problem-solving skills and creativity within their own development. We like the pre sanded pine used to construct this workbench and the fact that everything is made of wood. We also like the project booklet, allowing a little help with starting up an interest in wood work and building. This cute plastic real projects workshop by Step2 is quite the toy for your creative toddler. Being specifically made for toddlers, all of the tools and projects are easy to use. Coming packed with an electric battery powered toy drill, built in vice, storage drawers, and more than 65 pieces of accessories to put inside of the drawers! The best part is, this workbench comes with blueprints and a Durafoam pretend wood projects booklet ensuring that a project can always be built! This toddler workshop is the perfect way to introduce new engaging topics while still keeping it fun and like playing. It is important to spark creativity and problem-solving skills into young children if we want them to grasp ahold of a concept early on, and if we want them to succeed in early emotional development. We like the amount of accessories included with this workbench, 65 pieces is a lot of fun! We also like the knifty blueprints and booklet, along with the fact that this workbench is made out of plastic, how convenient. The Deluxe Workshop playset by Step2 is an awesome actual workshop themed workbench, coming equipped with storage spaces, durofoam blocks, and a 50 piece accessory kit. Just the look of this bench alone is a winning feature, if placed in the garage it could blend in with the surrounding. This set has a realistic looking drill, overhead light, and shop vacuum, this way your little one can be just like daddy. Engaging creativity and playtime at the same time is what this workbench has to offer you and your child. This is a great benefit to your child's development and can often push them into to furthering their creativity into a hobby and possible future career. We really like the overhead light and battery powered drill making playtime exciting no matter what time it is. We also like the design and the realistic look of this workbench, fitting in anywhere it is placed. This is the Master Workbench Builder set by Hape, made of solid wood, this educational toy is perfect for any child that is interested in building and creating just like real carpenters do. Coming complete with 32 pieces, including cool learning gears ideal for learning mechanic basics. With this workbench, your child can build whatever they want, however they want. This is the perfect toy for any child who is interested in building in the real world. By playing with this toy your child is practicing their kinesthetic and creativity skills why still having fun at the same time. We like the interactive turning gears, and the handy storage bin at the bottom of the workbench. We also like the variety of tools and hardware that this product has to offer. Made from only eco-friendly wood, this workbench is one of the safest you can get for your toddler. Including 5 tools and a built-in toddler-friendly vice, your little one will be finishing projects in no time. With the rounded corners and sturdy design, the Toddler Workbench by EverEarth is well worth the money to keep your child safe and entertained. Inspiring creativity at an early age is always important in any circumstance, it's a natural human instinct to create in whatever way. That's why this toddler workbench by EverEarth is the perfect toy to introduce that creativity and problem-solving skills need for positive and healthy child development. We like the safety features this product has to offer with the eco safe wood and rounded corners, ensuring your child will be safe at all times. We also like the size and feel of this product, you can really tell it is for toddlers. Small and compact is the first noticeable feature this workbench by USA Toyz has to offer. Including 29 wood tool and hardware, this traveling workbench is perfect for any young carpenter on the go. Coming complete with the basic tool setup and the workbench itself has a handle in the transportation feature! Take your creativity on the go! With this workbench, the same creativity and problem-solving skills benefited from working with tools and creating can be taken anywhere at any time. Bring your creations to life at grandmas or at the park, it's up to you (and your parents). We really like the traveling feature this workbench has, and the storage size. We also like the selection of tools and engaging building pieces making this bench fun for hours to come. One way to get your little one excited about tools and keeping them busy is by getting them their own workbench. They will be just like mom or dad by having their own toolsets so they can try and help fix things around the house. This piece comes with over 88 different tools that your child can learn about. The perfect toy for your future handyman or woman around the house! Every single item that this workbench includes is 100% safe for children to play with. This set is made of non-toxic, leaf free and phthalate-free materials. This workbench set will enhance your toddler's vocabulary and fine motor skills. Your child will love learning about all their very own tools. we love this product because it’s the perfect gift for any occasion. 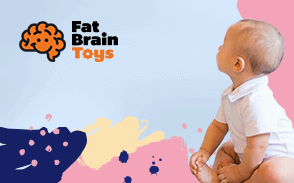 This toy will boost your child’s fine motor and hand eye coordination skills. Just because you’re tight on space doesn’t mean your toddler can’t have their own construction set! This is great for younger toddlers because it’s not as realistic, but incredibly inviting with vibrantly-colored tools as well as a fun workspace. The set is miniature and meant to be played with either on the ground or at the table and will save you a ton of space. Liberty Imports has created this with three separate hand tools that are all perfect for pretending to “fix” things in the form of several brightly-colored blocks. Toddlers will get a kick out of all the different options they have for playtime while sitting at their workbench. It even features a tabletop saw as well as a drill bit for even more imaginative construction projects! For being so miniature, this workbench set is pretty expansive as far as what it offers. Toddlers have every tool imaginable at their disposal and it’ll keep them playing for hours. We like the surprising ability this workbench has to fold into a traveling case for fun on the go, we also like the sturdy plastic and the array of pieces included in this workbench. You wouldn’t think that a workbench this small would have storage, but lo and behold, it does! In addition to the tool hooks where toddlers can store their tools, there’s a lower drawer that’s perfect for additional small items. When coming up with the perfect work benches for your toddlers we knew it wasn’t going to be an easy task. We looked at everything that had a high rating of over 4.0. We wanted nothing but the best of the best for your children and we believe that for or top ten list that we found it. We looked at everything from safety of each toy, design, to customer reviews. We looked at all positive and negative ones. Whatever style workbench you are looking for for your tiny toddler we are sure that we have it on our top ten list above. .
For sizing parents always forget that with toys like workbenches plays a major part. You want to make sure that each bench on our list aren’t too big when they become fully assembled. Not just because we want to make sure toddlers can handle these benches but because we also want to make sure that parents will have the space for them in their home as well. These benches are perfect to keep your active toddler busy with having so many different tools that they’ll have access too. When it comes to safety we also wanted to make sure that the materials being used for each product are safe for your toddler to use. Several of these benches are durable and will actually last a very long time; maybe even as long as until your children have children. Most of the materials used on these products are all non toxic. Many of the workbenches in our top ten list above all come with a variety of tools. Parents are going to have to ask themselves when coming up with our list if they want a work bench that comes with a lot of tools or just some for their toddler to play with. We have both options available on our list for parents to look at. When it comes to your child’s development we know that it can be difficult for parents to find something educational for your children to play with. These toys are wonderful for children because it will help boost their creativity and find motor skills as well as their hand-eye coordination skills. These toys are perfect for any creative or children who need hands-on activities. We looked at the number of customer reviews and the overall Amazon score to determine the ranks of each product on the list. Whether or not the workbench was cute did not apply to us on this matter. While style is important, we selected the top benches that could fit and adapt to any surrounding and not stick out like a sore thumb. Q: What age should I introduce a workbench to my child? A: With plastic toys, most companies say 3, with other materials it’s the parents choice. Q: Should I supervise my child while they play? A: It is a good idea to keep an eye on your child while using a workbench, the toys are hazardous and some of the small pieces can be potential choking hazards. Q: Can a child be allergic to the wood used in these products? A: There is a chance a child can have an allergic reaction when playing with a workbench which is made from a certain wood. It is best to call the company beforehand and find out exactly what kind of wood the product is made out of. Q: If a 3-year-old were to sit on top of the workbench would it break? A: No, these workbenches are sturdy enough to hold light weights, but it is not really recommended. Q: Is adult assembly required? A: On most of the products, an adult assembly is required, but not all products on the list do. Q: Could any of these pretend tools be potentially harmful? A: It’s always a good idea to supervise a toddler with any kind of toys, not just play sets with various pieces. These have all been certified safe for toddlers with no sharp edges or injury-inducing pieces, but if you’re worried, you can always keep the drills without batteries. As always, parental supervision is suggested.